Europes second-largest insurer narrows its focus in North America. 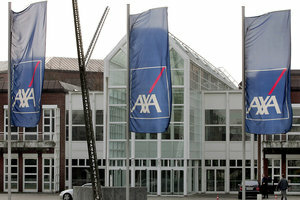 (Bloomberg) — Axa SA is exploring the sale of a U.S. subsidiary that shoulders risks tied to variable annuities, as Europe’s second-largest insurer narrows its focus in North America, according to people familiar with the matter. The insurer is working with Morgan Stanley to evaluate options for Jersey City, New Jersey-based Axa Corporate Solutions Life Reinsurance Co., which could fetch $200 million to $300 million in a sale, said the people, who asked not to be identified because the matter isn’t public. Henri de Castries, the chief executive officer of Paris- based Axa, has been divesting unwanted assets to focus on growth opportunities in emerging markets. Last year, Protective Life Corp. paid $1.06 billion for Axa’s Mony Life Insurance Co., adding a block of life insurance and annuity contracts, most of which were issued prior to 2004. Axa still offers retirement and insurance products in the U.S.
Hartford Financial Services Group Inc., CNA Financial Corp., London-based Aviva Plc and Canada’s Sun Life Financial Inc. are among companies that have made deals to limit risks tied to annuities. The retirement products became toxic for life insurance companies during the recession because their liabilities swell when stock markets decline. Guggenheim Partners LLC, Apollo Global Management LLC’s Athene Holding Ltd. and Warren Buffett’s Berkshire Hathaway Inc. have all taken on annuity businesses, betting they can better manage funds backing the obligations. Representatives of Morgan Stanley and Axa declined to comment. People buy variable annuities as a way to ensure they will have a source of income after they retire. Axa Corporate Life Reinsurance backed policies that promise so-called guaranteed minimum death and income benefits, which promise a certain payout regardless of market conditions. The operation stopped underwriting new business in 2002, and had $1.2 billion in assets, and $975 million in liabilities at the end of 2012, according to state regulatory filings. –With assistance from Zachary Tracer in New York.